A symmetrical grouping of two percussionists (Ian Antonio and Russell Greenberg) and two pianists (Laura Barger and Ning Yu), Yarn/Wire is an ensemble specializing in experimental new music now in their tenth season. 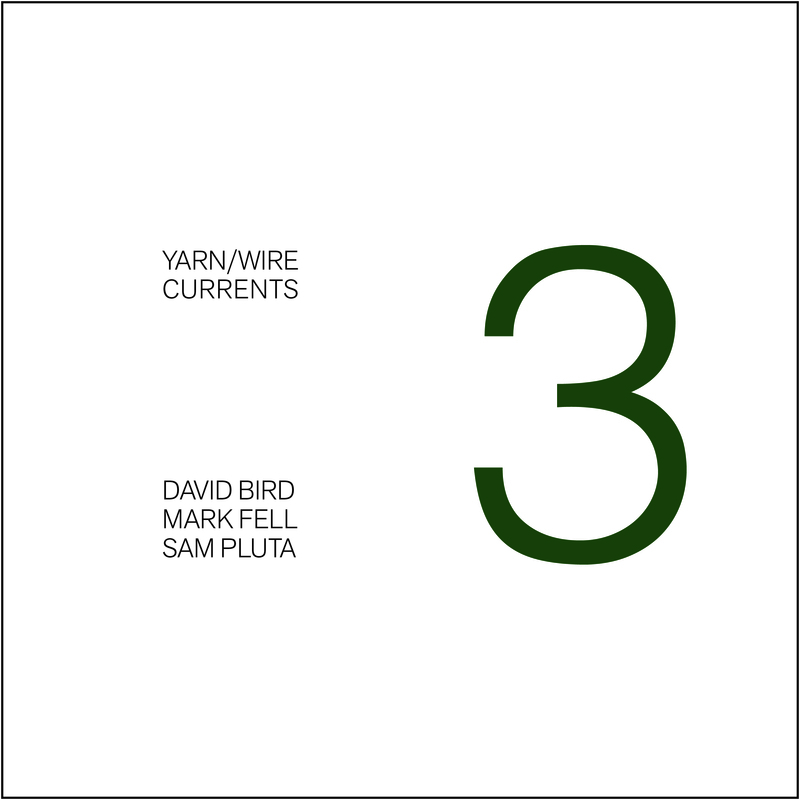 Their third release in the Yarn/Wire/Currents series presents three new works—very new, in fact, since they were written only a few months ago for the group to premiere in September at the ISSUE Project Room. The versions appearing on this release were recorded just a few weeks ago, in early November at Renssalaer Polytech’s Media and Performing Arts Center. Although the group’s acquaintance with these compositions is necessarily very recent, their performances are marked by a confidence that comes from a grasp of the experimental and expressive sensibilities embodied in the three pieces. Mediums, a composition by New York multimedia artist David Bird, opens the collection. Its long tones, sparse piano and prominent electronics are both lush and discordant. Through layering and slow dynamic crescendo, the piece builds tension accented by curt interventions from the pianos and flourishes of percussion. Sam Pluta’s Seven Systems is a seven-movement work for percussion, MIDI-supplemented piano and computer-activated snare drum. The work moves between frenetic, aggressive events marked by violent attacks on the piano keys to quieter, more serene passages. The program notes suggest that Pluta intended it as a portrait of emotional volatility; Yarn/Wire’s realization is a fully-committed engagement of some wrenching changes of mood. UK electronics artist Mark Fell’s core, self, oscillation, another multi-part work, is built around the elastic, nervous pulse of frame drum, which serves as the skeletal support for ringing metals and thunderous piano chords.